Akiy T-Shirts is a t-shirt designer and manufacturer company based in Jaffna owned an managed by Akarshan. Akarshan contacted us to design a simple website to display some information about his products. Since his company designed similar line on products, the need to display dozens of t-shirts was not important. An HTML5 website design was sufficient to meet the needs of the client. 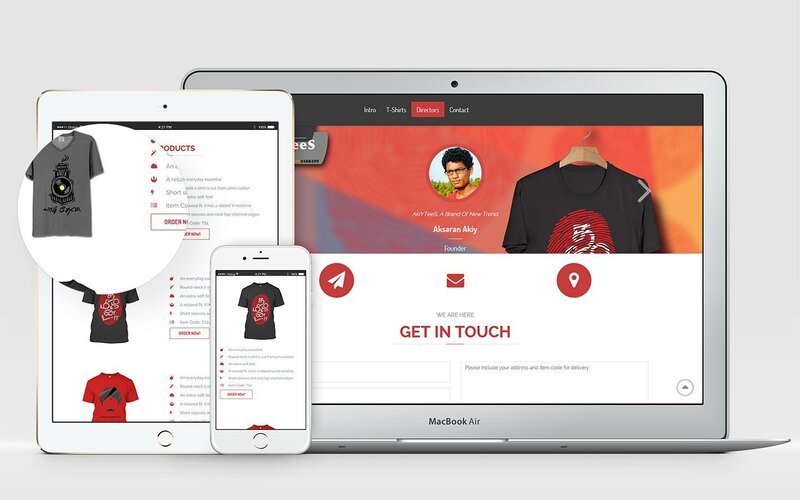 After the launch of the new website, the company’s sales rate increased drastically since site visitors had an option to view an order the t-shirts online.